While you are thinking of what to make in the breakfast or what to pack for lunch box, Potato Carom Seeds Grilled Sandwich will be right choice for that time which is tasty and so healthy for your family and kids. 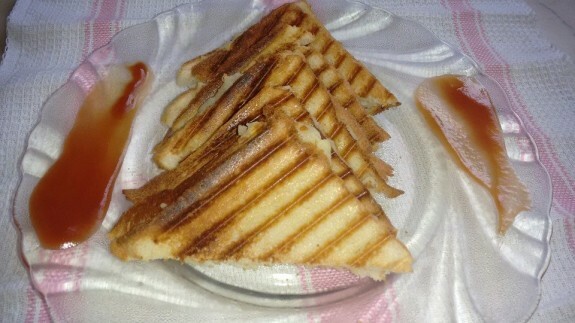 Try this quick and healthy aloo ajwain grilled sandwich at home. 1. In a bowl, mashed the boiled potatoes and add ½ tbsp butter, salt and carom seeds into it. Mix it well. 2. Now cut all the breads into 2 slices and spread butter on both sides of the slices. 3. Spread the thin layer of potato mixture between the 2 slices. 4. Now, toast it in the sandwich toaster till both the sides evenly done. 5. Repeat the same process with rest of all the breads. 6. Serve it hot with some tomato sauce.